CRICKET: Just three weeks after BITS Oval hosted the AFL Capricornia grand final for the first time, history is to be made again tomorrow and Sunday. The venue will be the centrepiece for the first Industries of Cricket 20-20 Challenge under lights in an event which is billed as the biggest social cricket tournament in Central Queensland. The event will also celebrate its 10th anniversary and will consist of 10 teams - two more than last year. Event organiser Nev Judd said while QAL, Santos GLNG, Orica and triple-winner Gladstone Ports Corporation have dominated in recent years, he hopes there will be a new winner. 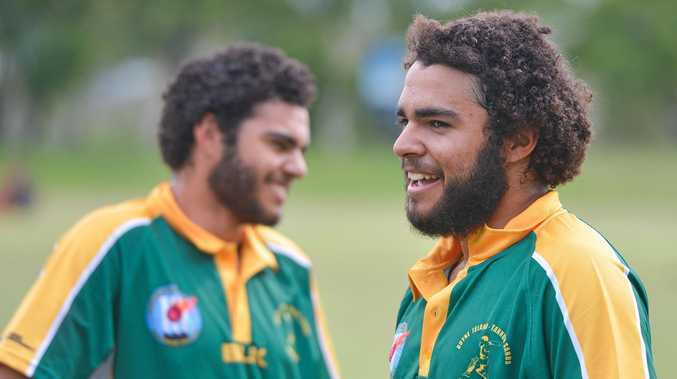 But Bailey Yasso and his brother Keagan have other ideas when they will represent Gladstone Ports Corporation tomorrow night. The second-year apprentice diesel-fitter at GPC hopes to shine with bat and ball. "Hopefully a win would be nice and we are playing WICET and it should be good as the game is under lights for the first time," Bailey said. "We have got a fair few blokes who play normally and a fair few experienced players and it should be good." Judd said Aurizon and WICET will make their Industries debut. "First game starts at 11am tomorrow with QAL and QGC to play and on Sunday we've also got the ALS got $600 in 60 seconds challenge as well," he said. "Come down and buy a raffle ticket and the winner gets to face the great Waqar Yunus (not the Pakistani great) and I said to him 'mate just put it on the wicket and give the guys a chance to hit sixes. "Every six that the winner hits gets $60." Entry is free and food and drinks will be available.